Snow-covered or sun-drenched, Lander is a beautiful outdoor playground. Lander is the gateway to the Wind River Mountains, which are a vast, pristine wilderness. It’s no wonder that this mountain town is best known for outdoor activities, often bordering on the extreme. If you want to give any of it a try, though, you’ll find the region offers terrain for a range of abilities and locals who are happy to help you learn. 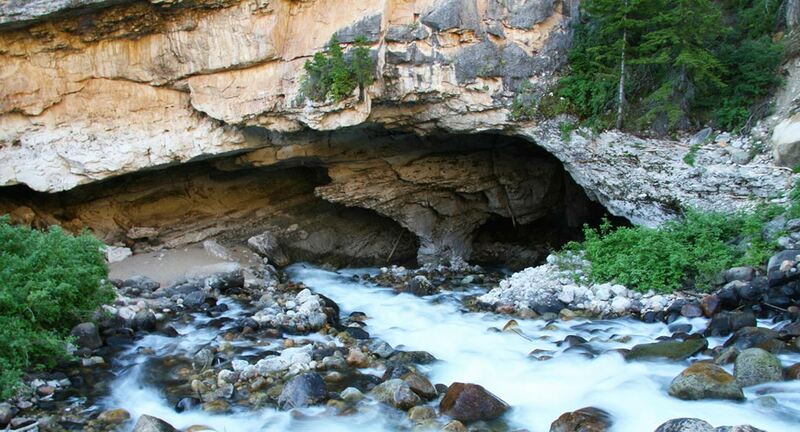 For starters, visit the free Sinks Canyon Sate Park and geological wonder. The Middle Fork of the Popo Agie River disappears into a cave and seeps underwater into tiny cracks, only to bubble up into a pool a few hundred yards down the canyon. Stand in awe at the mouth of the cave (The Sinks) and feed the enormous trout at the pool (The Rise). Look beyond the Sinks and the Rise and feel that itch to go exploring the rest of the canyon. 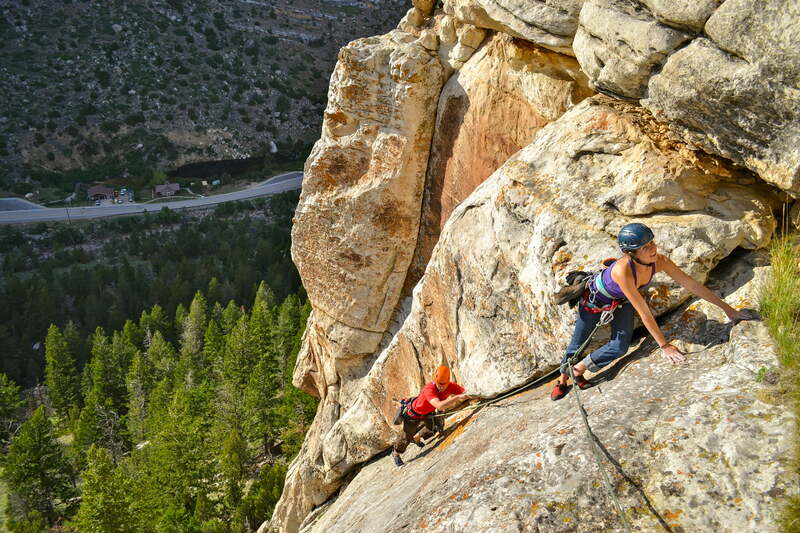 Lander, Wyoming is known around the globe for its rock climbing. Sinks Canyon State Park, Wild Iris, Wolf Point, and many more locations have been developed for sport climbing. Trad climbing, bouldering, and ice climbing also call to climbers—novice to expert. You can head out on your own if you’re skilled or hire a local guide to teach you and your family this sport. 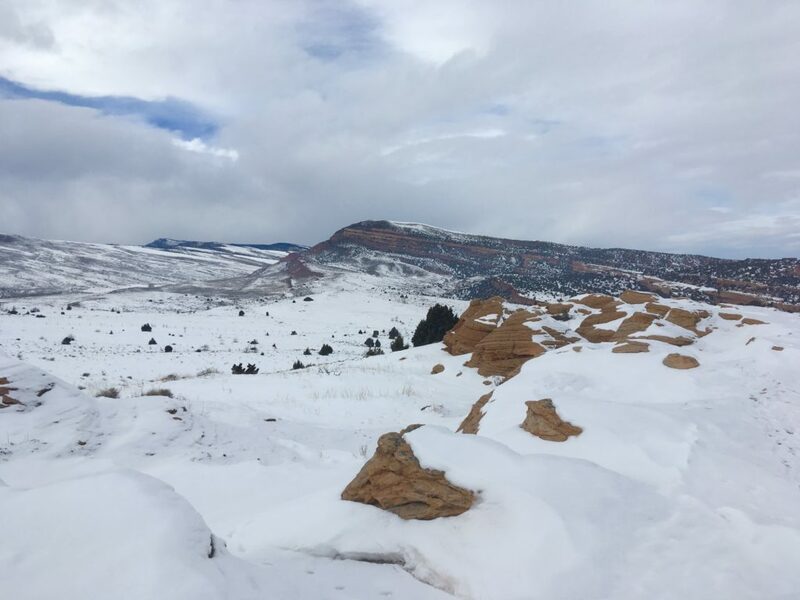 The network of trails in Wind River Country is growing steadily to the delight of locals and travelers. This is a destination worth bringing your bike to, where you’ll find new routes regularly and encounter crowds rarely. The trails are even hot in the winter. 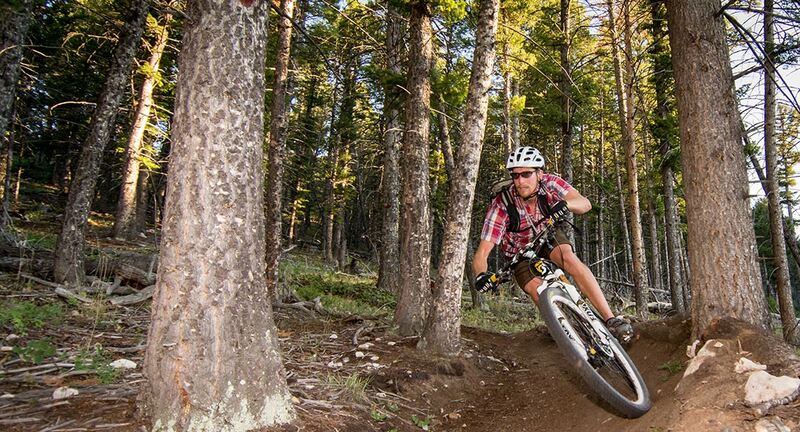 If you don’t have a mountain or fat bike, there are local shops ready to take care of you. 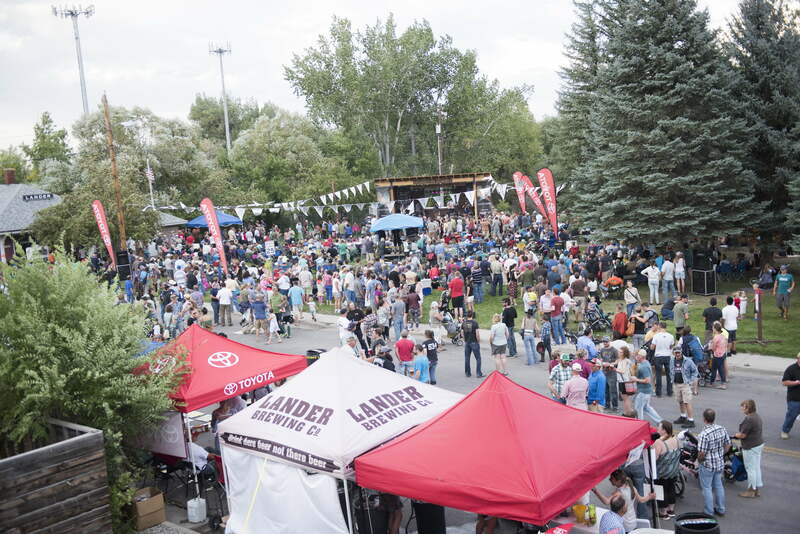 Lander is home to Wind River Country’s only microbrewery, but it’s one of the oldest in the state. Lander Brewing Co. is housed in Cowfish restaurant and the Lander Bar. There are a handful of brews on tap at all times and a rotating flight of seasonal beers. The names will always remind you that you’re sipping in a town with cowboy history and climbing present. Every Wednesday night in the summer, the Eagle Spirit Dancers give an exhibition of Native American dance styles, culture, and history. Learn from an entertaining and educational emcee and get to know the story of the Wind River Indian Reservation from its residents. By the end, you’ll get the chance to join hands and dance to the song and drums of this troop. The town started hosting big-name bands for free concerts a couple years ago and the Lander LIVE series has taken off. Join the many who travel for a special night of live music, food trucks, local brews, and sunshine. Stick around overnight for the chance to give any of the above experiences a try.